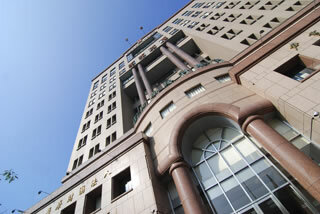 The Yin Shu-Tien Medical Foundation. Specialist Clinics in Urology, Ophthalmology, Family Medicine, Pediatrics, Gastroenterology, Psychiatry, Dermatology , Neurology, Physiotherapy & Rehabilitation, General Surgery, Colorectal Surgery, Plastic Surgery, Cardiology and Metabolism. We are a group practice urology clinic, founded in September 1993 by Dr. Ming-Tsun Chen, formerly the Head of Department of Urology, Taipei Veterans General Hospital, and presently the Medical Director of Shu-Tien Urology Ophthalmology Clinic. 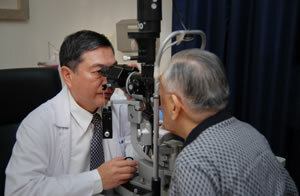 The Ophthalmology Clinic was established in November 1996 by Dr. Chia-Li Lin, formerly the Chief of Retina Clinic, Department of Ophthalmology, Taipei Veterans General Hospital. It signified one major step forward towards our goal in becoming a specialty medical care provider. To further enhance the quality of our medical services and to provide total health care to the public, we have next established a multi-disciplinary clinic in the fields of Family Medicine, Pediatrics, Gastroenterology, Psychiatry, Neurology, Physiotherapy & Rehabilitation, General Surgery and Colorectal Surgery. This act fulfilled our philosophy of becoming a community based health care provider and our goal of being an all-round provider in specialty medicine. The Dermatology Clinic was established in November 2001 by Dr. Hsin-Lung Tseng, formerly the Head of Department of Dermatology, Taipei Chang-Gung Memorial Hospital. 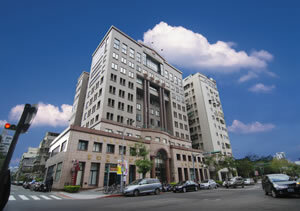 The Cardiology Clinic was established in February 2006 by Dr. Mau-Song Chang, formerly the Medical Superintendent of Taipei Veterans General Hospital. In addition, the Metabolism Clinic was established in June 2009 by Dr. Chien-Te Hung, formerly the Head of Department of Metabolism at the Taipei City Hospital. This further provided a more comprehensive care in patients with metabolic related cardio-vascular diseases. It has been our tradition and obligation to give back to society and devote in patient health education. We continuously encourage our physicians and surgeons to write articles and publish books that focus on patient education in their fields of expertise. 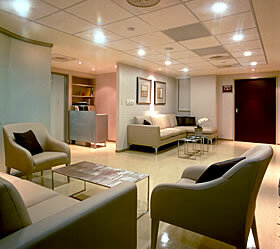 The mission of our publications is to actualize the idea of preventive medicine in the daily practice. Obtained ISO 9001 certification for approved quality management system in April 1997. Obtained ISO 14001 certification for approved environmental management system in August 2000. Won the National Quality Award for Individual Achievement in October 2000. In our efforts to enhance management quality and provide greater health care assurance to the public, we are vigorously promoting Total Quality Management (TQM) in the clinic as we strive to elevate health care standard to a new realm, in which, patient, staff, the clinic and the society all benefit. In the future, we will continue to expand our medical specialty practice and create a warmer and friendlier health care environment for patients. By being compassionate and dedicated in patient care, we expect ourselves to become the paradigm in medical community, a “designer for healthier living”.